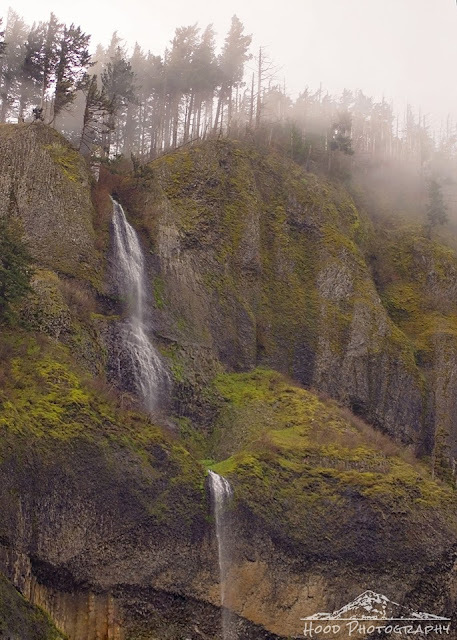 This shot is a typical view of the fog, clouds and seasonal waterfalls that trickle down the steep cliffs edges on the Oregon side of the Columbia River Gorge. This photo of an unnamed falls was taken from the Benson State Recreation Area, just west of Multnomah Falls. Pretty waterfalls, love the misty view! Have a happy Easter weekend!